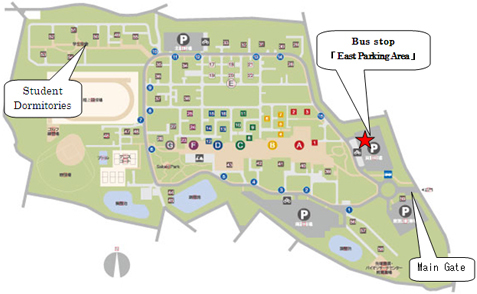 ※Please come to the East Parking Area （東駐車場）of the university by 8:35am. When you get on the bus, please follow the university staff's instruction. ◇Private Car There is NOT enough parking area at the Hall. Please come to the Hall by public transportation. ・Please come to the Hall by 9:30am. ・The Degree Certificate will be given by the director of your department after the ceremony. 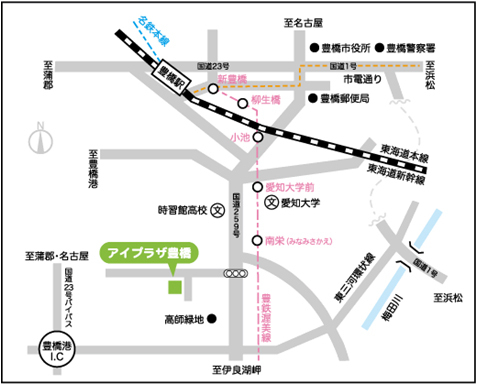 ・The graduation party organized by the Gakuyukai will be held at the Cafeteria of TUT from 13:30pm on that day.